Typical of Central and Latin America, panela is an unrefined whole cane sugar, derived from the boiling and evaporation of sugarcane juice. While most distilleries use molasses for their rum, we wanted to create a more unique recipe from high quality, granulated all-organic sugarcane. This spirit gives a intense, floral, and complex mouthfeel. For over a century, sugar and corn have been used to make moonshine in the hills of Tennessee. In keeping with that tradition, our heritage moonshine recipe uses mash made of corn and sugarcane. 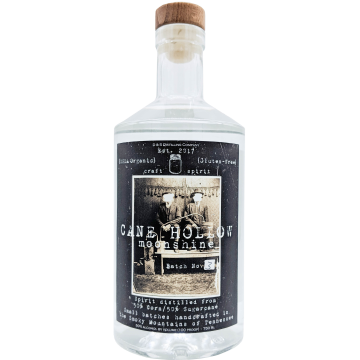 This spirit begins with a corn taste followed by the smooth sweetness of sugar and finishes with the kick that's expected in traditional moonshine. 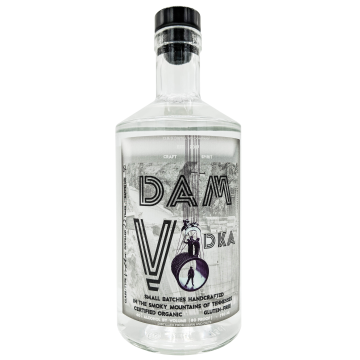 While retaining the smoothness of traditional corn vodka, we add oat to change the mouthfeel of this product. Oats are used in brewing to thicken beers and make them creamier. This effect will be similar for the mouthfeel of our vodka, providing a creamy, velvety finish where corn vodka sometimes has a harsh bite at the end. While similar in methodology to our Delgado Original, this white rum carries a completely different flavor profile. 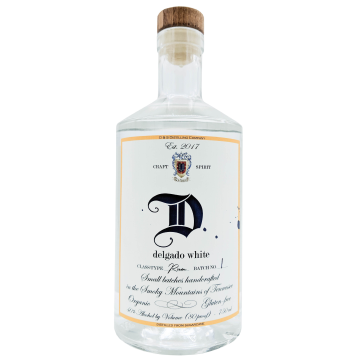 Delgado White uses a more refined organic sugarcane producing a sweet, balanced experience.